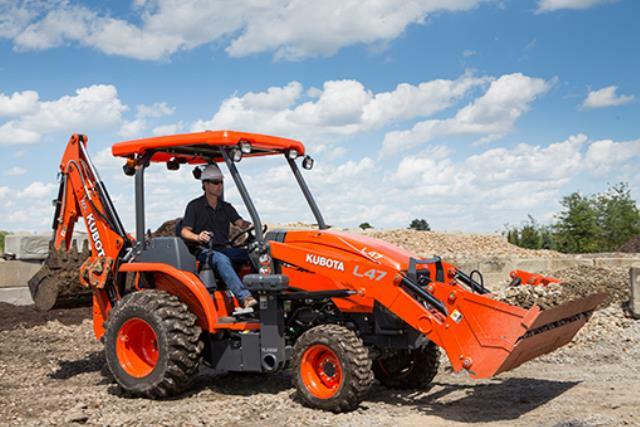 Kubota's L47TLB is one machine built to do the work of three. With Tier 4 Final 47.1 gross HP, 2,848 lbs. of lift capacity and 10FT max digging depth, this compact, high-performance tractor/loader/backhoe model is ideal for independent contractors, landscapers, rental services and anyone looking to add power, speed and efficiency to their worksite. move to the next job site. -Does have 4X4 if needed. -Front loader lift capacity 2848 lbs. -Backhoe Max digging depth 10 ft.
-Backhoe bucket is 18 in. -*Height during transportation, 106.3 in, when backhoe is in locked in place during transport, because backhoe arm is taller than canopy. which can be locked together. -Front loader bucket attaches the same as skid steers so we can put the fork on this too. 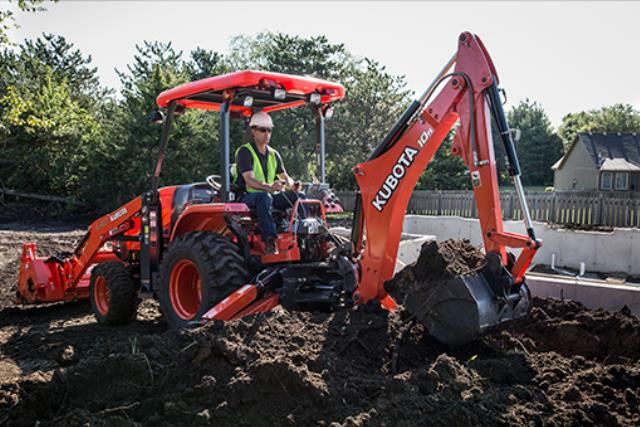 * Please call us with any questions about our tractor kubota 47hp fl bh rentals in Tulsa OK and neighboring communities in Northeastern Oklahoma.